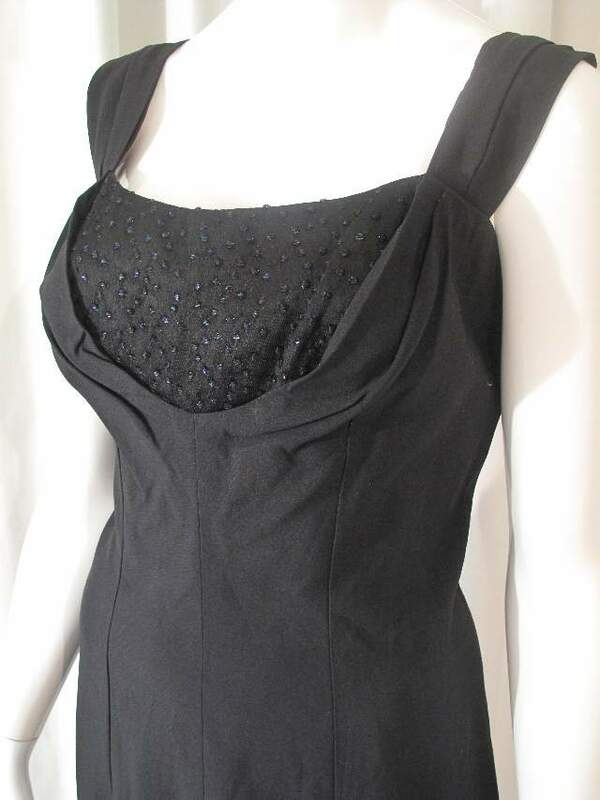 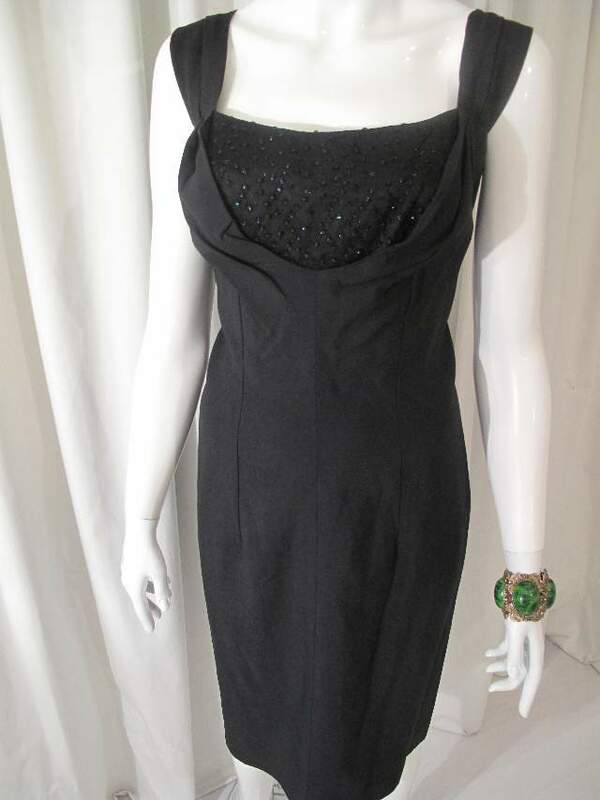 Early 1960 s Black satin backed crepe vintage dress. 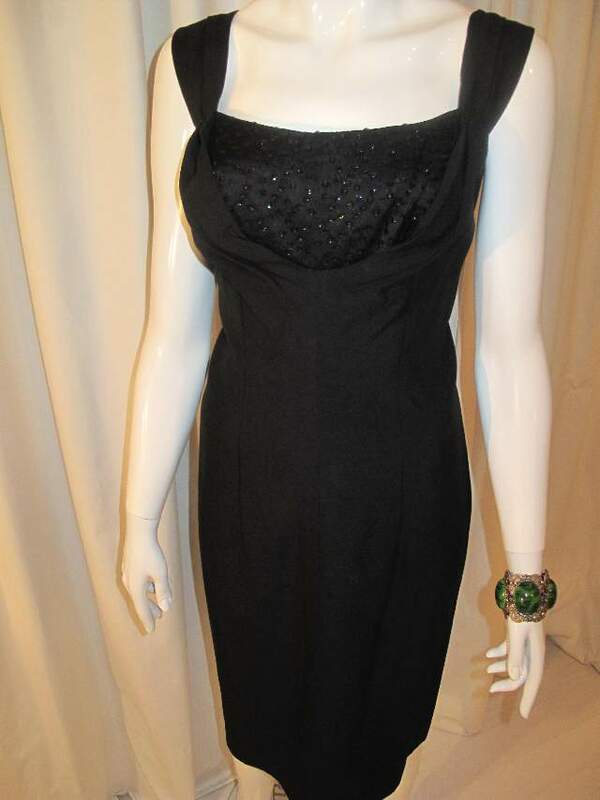 Fitted dress with wide pleated straps and draped detail over the bust . 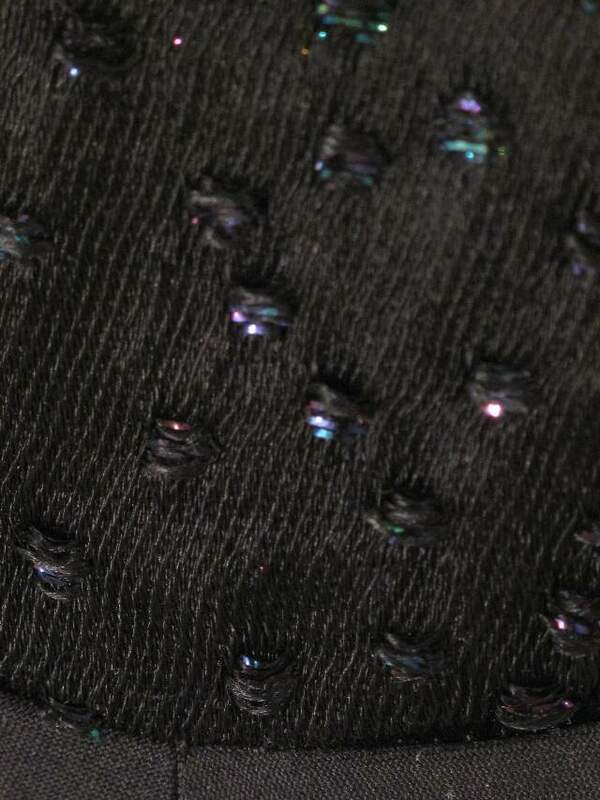 It has a satin panel insert at the bust with embroidered dots in black iridescent thread that twinkle in the light.